The restaurant is located off of I-40 exit 143. head north and it will be on the right-hand side of the road, on top of a small hill right next to the Holiday Inn Express. The 4 penny machine is located in the gift shop. 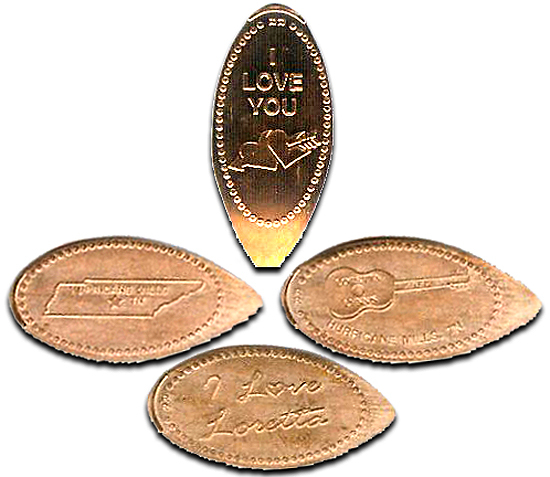 All 4 are mules printed with Loretta Lynn s Kitchen Hurricane Mills, TN on the backs.